WASHINGTON, July 11, 2016 – During his visit to Baghdad today, Defense Secretary Ash Carter met with Iraqi leaders, coalition commanders and U.S. troops and also announced that the United States, in close consultation with the Iraqi government, will have an additional 560 troops to deploy to Iraq to assist in the fight against the Islamic State of Iraq and the Levant, according to a DoD news release. Carter met with Iraqi Prime Minister Haider al Abadi and other Iraqi leaders, commending them for recent progress in the fight against ISIL, including the capture of a strategic airfield near the town of Qayyarah that will aid operations to free Mosul, the release said. 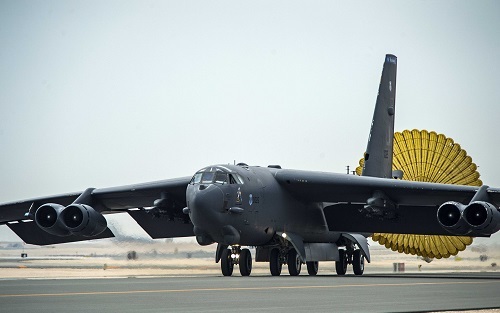 Carter also discussed the next steps in the counter-ISIL military campaign, the release said. In light of Iraqi security forces’ recent advances, the release said, the defense secretary announced that the United States, in close coordination with the Iraqi government, will deploy an additional 560 troops to Iraq to build on that momentum. 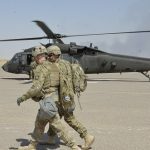 The additional troops, the release said, will provide a range of support for Iraqi security forces, including infrastructure and logistical capabilities at the airfield near Qayyarah. As the campaign shifts toward Mosul — more than 250 miles from Baghdad — the airfield will become a vital springboard for Iraqi forces’ offensive into Mosul, the release said. 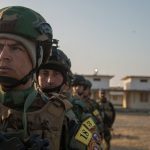 Coalition forces will also continue to provide enabler support to Kurdish Peshmerga as they converge on Mosul from Iraq’s north, according to the release. 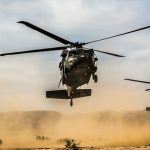 Obama approved the additional forces on Carter’s recommendation after consulting with Joint Chiefs of Staff Chairman Marine Corps Gen. Joe Dunford, U.S. Central Command commander Army Gen. Joseph L. Votel, and the commander of Operation Inherent Resolve, Army Lt. Gen. Sean MacFarland, the release said. In his meeting with the Iraqi prime minister, the defense secretary also expressed his condolences for the recent tragic bombing in Baghdad, the release said. Carter said the United States is prepared to bolster its support for Iraqi government efforts to protect Iraqi civilians from ISIL terror attacks, according to the release. 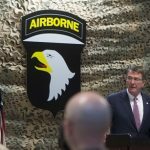 U.S. forces already share intelligence and with their Iraqi counterparts, the defense secretary said, noting he is directing the Joint Improvised-Threat Defeat Agency — which leads the department’s efforts to counter improvised explosive device — to provide additional assistance that could enhance security in Baghdad. Carter’s visit comes as the international coalition has intensified pressure on ISIL in both Iraq and Syria, the release said. In addition to the capture of the airbase at Qayyarah, Iraqi forces backed by coalition air power and other support recently freed the city of Fallujah from ISIL’s control after previous gains in Ramadi, Hit and Rutbah, according to the release. In Syria, local forces backed by the coalition have surrounded the city of Manbij, a hub for the flow of ISIL foreign fighters, the release said. The defense secretary said the U.S. is also prepared to step up its efforts to help vetted Syrian forces willing to take on ISIL. To ensure ISIL’s defeat is truly lasting, Carter stressed throughout his visit the need for economic aid and reconstruction efforts to keep pace with progress in the military campaign, the release said. 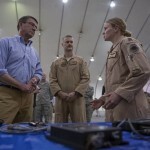 The defense secretary closed his trip to Iraq, his fourth as secretary of defense, by thanking U.S. troops for their dedication, sacrifice and willingness to keep America safe, the release said.